A pocket tissue holder makes a useful gift. Great as a teacher gift or even for a Get well gift. This fabric tissue holder comes complete with a new packet of tissues ready to open and use. Each tissue pouch measures approximately 5 1/4" inches long by 3 1/2" inches wide. Roomy enough for most brands of tissues. Simply slip the tissue packets in through the opening. Retrieving tissues as needed though the same opening. These tissue holders are made with a printed cotton exterior fabric and a coordinating cotton interior fabric. They can be attached to belt loops, purses, backpacks, luggage, and many other things via the ribbon and plastic snap. ~Materials are a cotton fabric and piping accent with a tissue packet too. 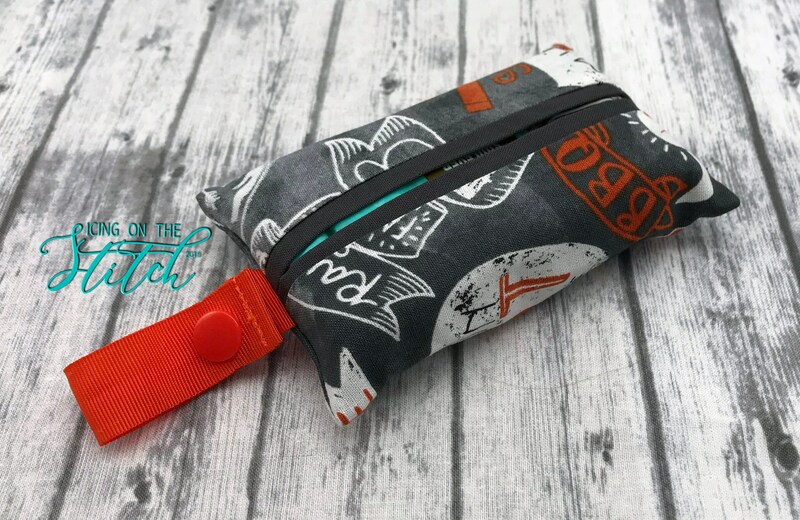 ~Measures approximately 5 1/4" x 3 1/2"
Whether your looking for the perfect travel accessories, a teacher gift or simply need a fabric tissue holder for your personal use, this is the one!! This item is brand new, made by me, from a smoke-free home. Follow me on Facebook & Instagram for more ideas! Don’t see a fabric you’re looking for? Check my in-stock fabrics on Facebook and request a custom order! 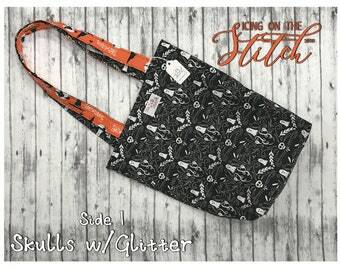 I have lots of fabric in stock and can make these totes, and many other items, in many popular prints and characters! NOTE: This is not a licensed product. Icing On The Stitch is not affiliated with the licensee or the manufacturer of this fabric. 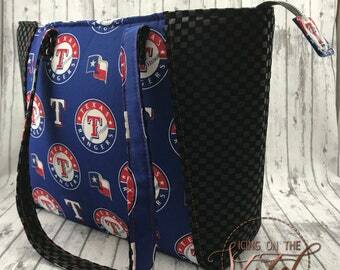 This is a limited handcrafted item made with store purchased licensed fabric as permitted under the First Sale Doctrine. No rights are given or implied.